Why not join our popular Cheese Club or purchase membership as a gift for someone? 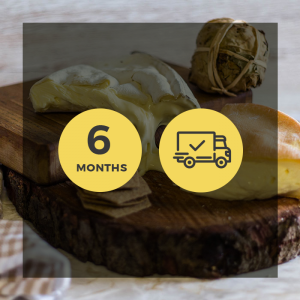 Every month we select 5 cheeses some of which will be new or unusual. The cheeses are accompanied by tasting notes, recipes and a packet of biscuits.